Are you ready for a change? This beautiful Niantic River waterfront in Oswegatchie Colony will accomplish just that! The 2 story foyer welcomes you into this stunning custom designed & built 4/5 BR, 3.5 bath, 5,000 sq.ft. 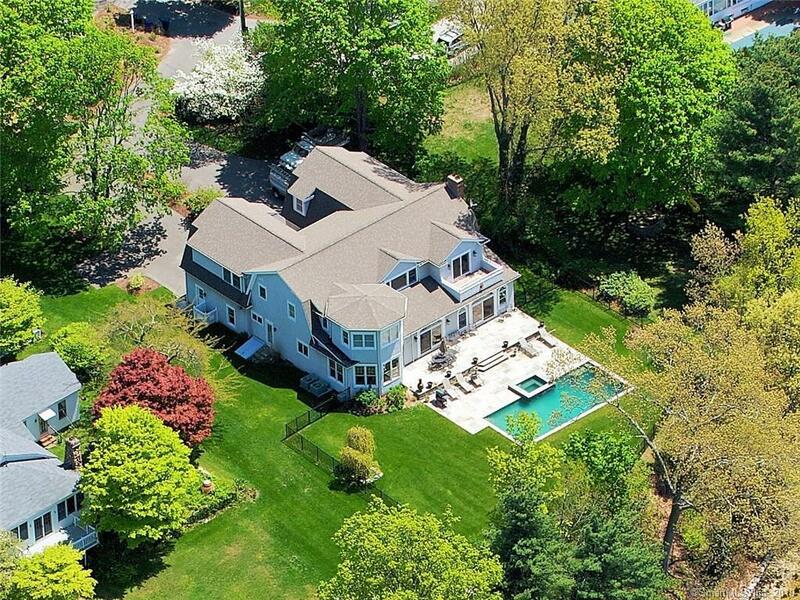 shingle style colonial w/ 4 car GAR. Very open flr plan & wonderful flow for entertaining w/ fabulous gourmet kitchen w/ 2 center isles, dining area, Viking refrigerator, multiple ovens, gas stove, pantry, wet bar & granite counters. Wow, what a view w/ 3 Sliders stretching over the entire rear of the house to the patio overlooking the heated Gunite pool & spa w/ dramatic river views and lighted stone staircase to lower patio, deep water dock, & beach. Formal dining room & light filled living room w/ fireplace. Quality features abound here - 9 foot ceilings, hardwood and travertine floors, & crown molding throughout this spectacular home. Take time to rest & relax in the spacious & serene masterbedroom suite w/sitting area w/ fireplace & atrium doors to upper deck. Master bathroom w/ jet tub bath, dressing room w/ built in dressers and closets. 1st & 2nd floor laundry. Lower level family room, game room, and office. 400 amp service, FHA/central air, irrigation, and security system. Plus conveniently located - enjoy your own slice of paradise yet you're only minutes from I-95, I-395, downtown Niantic, beaches, & more! Owner is a licensed Ct. real estate broker.